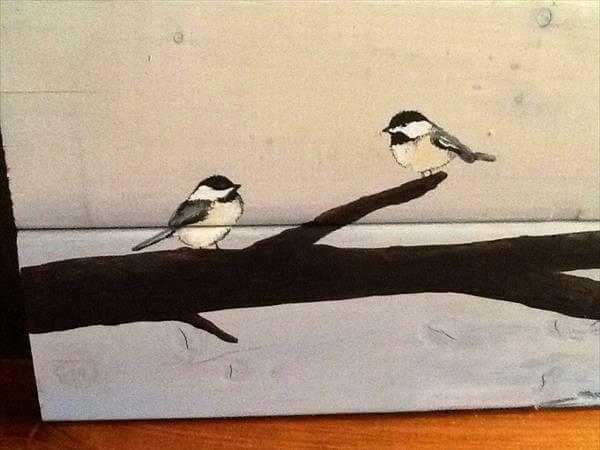 Sometimes the picture talks much that anything else by just glaring for a few minutes at the painting on wall. 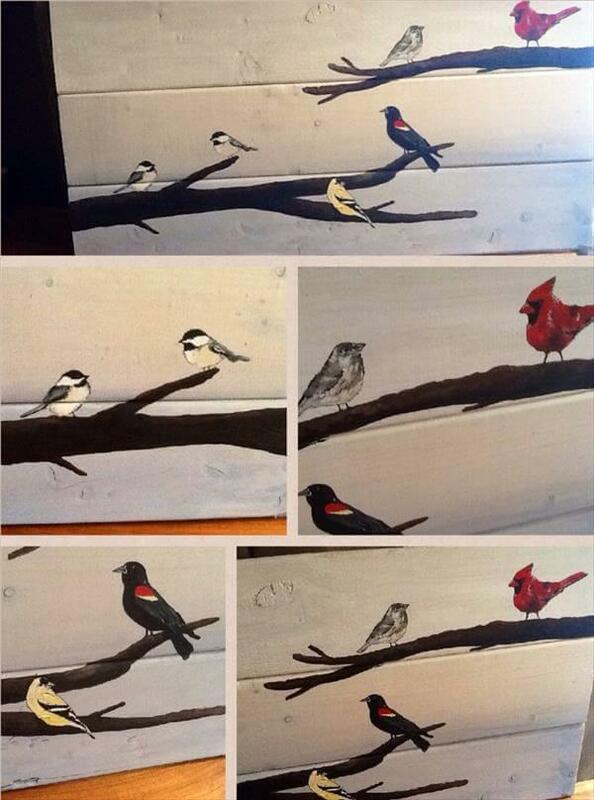 Make your wall talking and fantastic with this DIY pallet bird art containing the loveable sketches of forever loving birds. 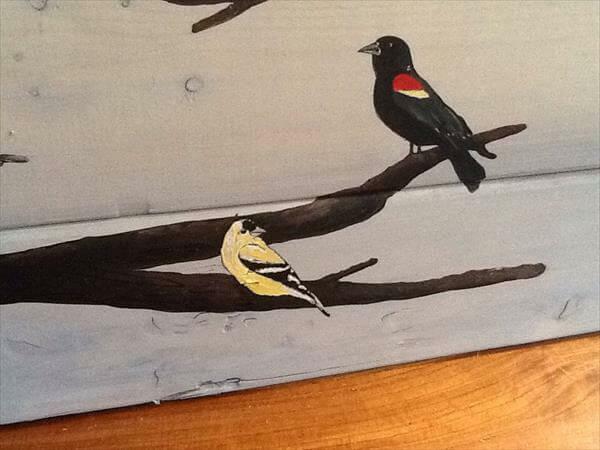 The birds you are seeing on the hand carved and painted branches are the cute chickadee, the cool red cardinal and yellow finch with some sparrows on the left side. 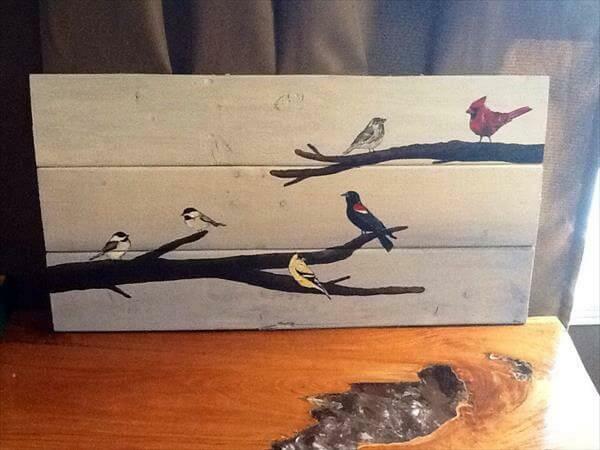 All the fantasy has been made inscribed on stacked pallet slats to be a garnished wall art with lovely nature scene. The lovely DIY pallet wall sign is to you though just hands without using anything else. This DIY pallet project contains no heavy expenditure of money, the whole plan is a keen friend of your wallet and you can get it free if you have pallet wood only.